Sous vide cooking is touted as the easy way to produce five star restaurant quality food on your own home, and for very good reason. It’s a painless, simple way to cook food expertly, and to do so in a cost effective manner. 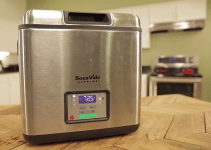 There’s a simple process for cooking that requires minimal preparation, but before you dive right in and begin cooking, there’s one essential step before you doing anything else: you must find the right sous vide circulator for your needs. A circulator is what’s going to be doing the actual cooking, and controlling the water that will cook your food to absolute perfection. It’s probably the most important piece of equipment, but there are so many available on the market that it can be a daunting task picking just one. Whether you’re an experienced sous vide cook, or new to the sous vide method, the Instant Pot LS-SV02A is a great choice. 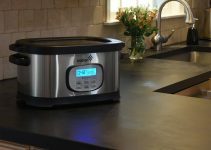 The Instant Pot LS-SV02A looks professional, but that doesn’t mean you have to be one to use it. Its interface is intuitive, and the touch screen digital controls couldn’t be simpler. 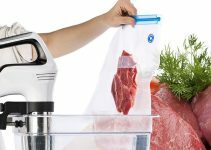 The material is lightweight and durable stainless steel, which is durable enough to manage the tough work sous vide cooking requires. They’ve even put a great deal of thought into the handle, and you’ll find it perfectly forms to your hand and makes it very satisfying to use. The Instant Pot LS-SV02A is designed to work with the 6 quart and 8 quart Instant Pot inner pots. They’ve obviously designed with these pots in mind, but it’ll fit just about any pot, though the clamp tops out at 8”, so measure carefully before you buy. So, we know it looks good, but what can it do when you power it on and give a try? Good news, the Instant Pot Circulator is well designed inside and out. The Instant Pot LS-SV02A heats water, and keeps the water at a constant temperature, which is essential to the process. You can trust the circulator is accurate, too, with a margin of error of only +/- 1 degree Fahrenheit. It’s not only accuracy, but range that counts and the circulator doesn’t disappoint here, either. Run this sucker anywhere between 104 degrees and 194 degrees Fahrenheit, and you can do it for up to 72 hours at a time which is enough time to cook just about anything you can think of. One last thing to consider is about how convenient the circulator is going to be after you’ve finished cooking. If cleanup is going to be a pain, the fact that sous vide cooking is so easy won’t count for much. The good news is that the Instant Pot LS-SV02A is easy to clean, and just about as no fuss as cooking with it is going to be. You’ll save time not only cooking, but in doing dishes, so you might want to find yourself a hobby to keep busy. Inside out, top to bottom, the Instant Pot LS-SV02A is good through and through. 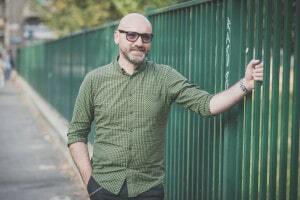 You’ll love the look of it, and the fact that it’s so accurate and has such great range means that it can meet just about any expectations you might have and exceed them. The interface is very simple, and it makes it a great circulator for beginners as well as experienced sous vide cooks. If you’re looking at this circulator thinking it’s everything you’ll need that is not the case. You will need a pan, or basin to actually hold the water and food ingredients for sous vide cooking. With that being said, this product provides great value for what you get. Instant Pot has a line of pots that are compatible with the Instant Pot LS-SV02A. If you’re in need of a pot it is recommended that you buy a compatible Instant Pot model, or else make sure another company’s pot is going to be compatible with the Instant Pot LS-SV02A. This is a great product that you’re going to love if you’re new to sous vide cooking, or if you’re an experienced sous vide chef looking for an upgrade or change. It has a great looking design that can meet just about any cooking needs. 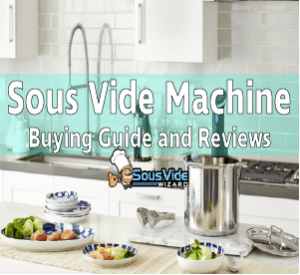 Pick yours up today because you’re going to be hard pressed to find a sous vide machine that provides better value.